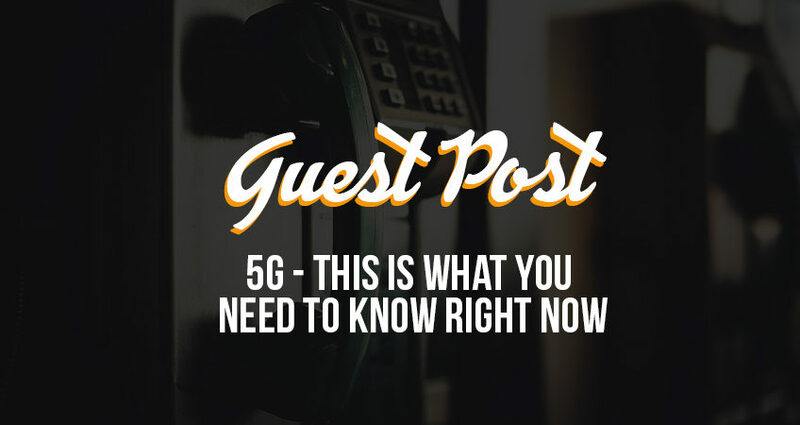 5G - This is What You Need to Know Right Now - MOUNTAIN, LTD.
There’s a lot of buzz around 5G. According to Accenture, 5G is expected to spark $275 billion in new investments, $500 billion in economic growth and create more three million new jobs. If you’re someone who thought you were already using a 5G network, you aren’t alone. A recent study by PCMag.com found that 81% of consumers don’t know what 5G technology really is or what it means for the future. To clear up some confusion and set the record straight, we sat down with 5G expert, Jonathan Haley, Managing Director, NTP Wireless, a self-performing wireless site acquisition company and a division of System One, to find out what you really need to know about 5G. With extensive experience in land acquisition and wireless site development, Jonathan oversees NTP Wireless’s strategic initiatives and corporate planning. During his lengthy career in wireless telecommunications, Jonathan‘s work has been reflected in wireless telecom facilities from Wisconsin to Alabama, including the powerhouse markets of Chicago and Atlanta. What is 5G and why is it important? Simply put, 5G is the 5th generation of mobile broadband. This next generation is necessary because the current 4G network structure is running out of space. 5G mitigates the problem of capacity by operating across three spectrums of communication low-band, mid-band and high-band or mmWave. The new 5G network reaches far beyond mobility to deliver truly unlimited data capacity and a fully interconnected world. What the 5G network means for wireless services? What happens to 4G and existing devices? Connecting to the 5G network does not come with an automatic “on” switch. Contrary to some beliefs, 4G won’t go away. In fact, it will stick around and will be used well into the next decade as countless systems are updated, refitted and otherwise changed to accept and transmit 5G telecommunications. Carriers will roll new networks out to major metropolitan areas first, in areas like Los Angeles, New York, Dallas and Atlanta, then will move across the country and other parts of the world. Although most major carriers are rolling out 5G network connections now, the reality is that there are only a handful of devices that currently have the ability to take advantage of 5G’s expanded capabilities. Most existing phones and devices will work on the 5G network. Over time, users will need to transition to new mobile phones, laptops, and other devices in order to fully experience all that 5G has to offer. This year several new 5G mobile devices will come to market. How will the new 5G network impact everyday life? Fixed wireless – Fixed wireless transmits using radio waves instead of physical wiring. This means homes and businesses will no longer be bound by the restrictions of cabling to be connected to the internet or cable television. Don’t cancel your cable just yet, while fixed wireless will eliminate the need to tethered connections, there are significant investments that are needed before this becomes a reality. Revolutionized augmented and virtual reality that will deliver a completely immersive entertainment experience. While many people have already purchased 4K televisions, a fully immersive experience will require much more hardware engineering before Americans stop going to the theatre to watch IMAX movies. Smart homes, Smart devices and equipment where technology is not only connected to 5G, but everything talks to each other. Systems will learn your schedule, predict when to adjust your thermostat and offer alerts when there is a possible problem that needs to be looked at. This machine learning technology will be used for everything from home security systems, HVAC systems, audio-visual equipment and household gadgets like Alexa to cooking. Jonathan expects handheld devices of the future to become as powerful as laptops and have the same capabilities to work, play, consume, communicate and live. Just image 3D projection right from your mobile device. Agriculture – Smart farming systems that add efficiencies to maximize crop production and protect the environment using autonomous equipment, self-guided watering and mobile pest detection. Retail and Commerce – real time, immersive shopping with mobile stores and delivery. Imagine a time when you make airline reservations simply by mobile audio commands; 3D shopping experiences and pop up stores that comes to you. Jonathan explains that with 5G, these become reality. He also predicts that most brick and mortar commerce will be replaced by on demand platforms; including entertainment, doctors, grocery stores and so much more. Manufacturing – predictive maintenance, supply chain visibility and real time inventory that will drive manufacturing costs down, reduce production delays and increase efficiencies. Business – Work from literally anywhere with 3D collaboration tools, the cloud and edge computing. 5G puts data and their applications closer to the end-user. This will eventually bring ultra-fast speeds and may eliminate the need for cloud, replacing it with edge computer. 5G Connected Healthcare – Some of the most impressive and tangible benefits of 5G will be seen in the form of proactive healthcare care providing equitable access and quality healthcare to everyone. Goldman Sachs estimates that connected devices could create $305 billion in annual health system savings from decreased medical costs and mortality rates due to the enhanced ability to monitor and communicate with patients managing chronic illnesses. Apple’s CEO Tim Cook recently stated that, “Apple’s greatest contribution to mankind will be in health services”. Advanced wearables and new hearable devices that adapt automatically to optimal levels and not only track your fitness, but monitor key health statistics like blood pressure and sugar levels, then communicate this information directly to your doctor. This will enable physicians to remotely adjust medications and recommend changes in your health plan. Image notifying response teams before health emergencies happen. Glasses that are so advanced that they automatically adjust to changing vision and alert you and your doctor to medical changes. Contact lenses that have a computer chip built in aiding with directions and hazards. Portability and 360⁰ interactions will allow surgery from remote locations. Improved energy usage and sustainability – Early estimates indicate that 5G will generate $160B in smart city savings by enabling lower energy use and less fuel consumption. Aid in emergency response and disaster recovery efforts – Through cameras and remote communications, emergency workers will be able to access situations, take quicker routes to impacted areas and administer first aid instructions before arriving on scene. Warn against water crisis – Through mobile water monitoring and alerts, contaminations can be detected and water supplies diverted. Autonomous Vehicles – Jonathan tells us that autonomous cars, buses and trains of the future will be commonplace. Deloitte estimates that self-driving cars enabled by 5G could reduce emissions by 40-90%, travel times by nearly 40% and travel delays by 20%. A recent study by the Eno Center for Transportation estimated that self-driving cars could save 21,700 lives and $447 billion per year. Strategic traffic design with smart cameras and sensors that will aid in daily commutes. 5G smart grids could generate $1.8 trillion for the U.S. economy, saving consumers hundreds each year. Increased safety and accident prevention with blind spot awareness. Increased driver and passenger comfort with temperature and humidity controls that adjust automatically to vehicle occupants. We’ve certainly come a long way from the days of long distance calling, dial up internet and hardwired connections. 5G is just getting started in the US. It’s hard to say exactly what the world will look like in 10-20 years. Integrating daily activities with 5G will require innovations in devices and apps that will plug into new capabilities. This will take time. In 2020, experts believe 5G will become part of our everyday lives with HD, 3D and ultra-video becoming mainstream. By 2026, Business Insider predicts the world will have more than 64 billion interconnected devices. Once the new 5G network is fully integrated, the Internet of Things will truly transform our world with limitless possibilities. Jonathan Haley holds an MBA from the University of Notre Dame and is a licensed real estate broker in the states of Illinois, Indiana and Wisconsin. He is a member of the National Association of Realtors, CCIM Institute and the Urban Land Institute. He serves as NTP’s managing broker.